We are currently OUT OF STOCK on our sample books and are in the process of producing new ones. Please feel free to call (877-436-6177) or email (info@day2dayprinting.com) us with any questions you have regarding paper or finishing options. Our free printing sample pack provides swatches of our high quality and eco-friendly stocks with gloss, matte, and uncoated finish options. 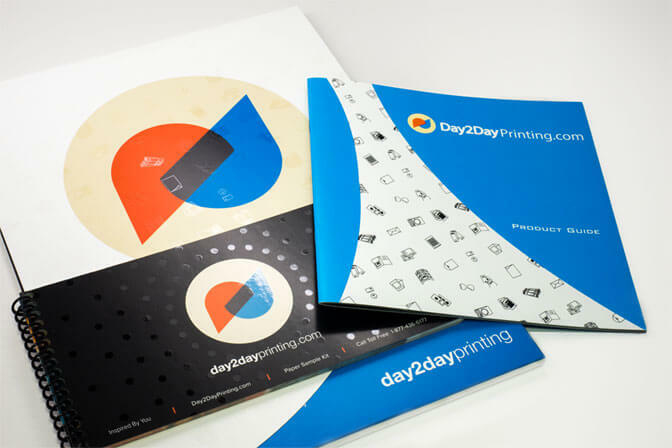 Free printing sample kits contain the standard paper stocks that we offer at Day2Day Printing. If you have special papers in mind and do not find them in our sample swatch, please contact us at (877)4316-6177 or info@day2dayprinting.com to discuss your custom paper stock options. You can also submit a custom price quote request for your speciality orders.